While playing around with the incredibly cool StumbleUpon tool last night (using the Firefox plugin for convenience), I found a site which shows the size of various celestial bodies in a super-easy to understand visual manner. Makes our Sun look not so big, doesn’t it? 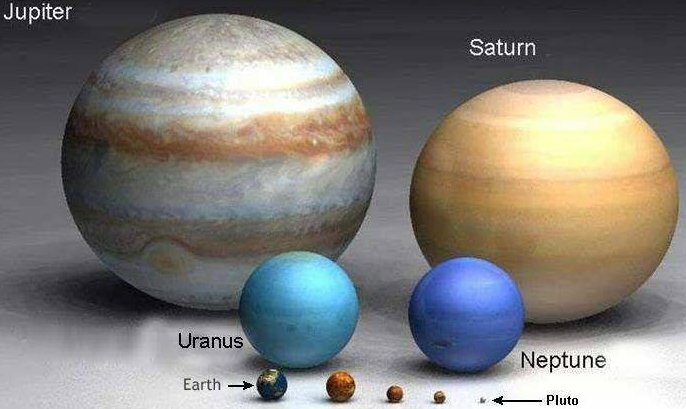 Why is Pluto there? It’s not a planet. Is there a reason that the two blue balls are so predominant in the photo?